The growing popularity of Thailand as one of the top wedding destinations in the world doesn’t come as a surprise to the charmed former visitor who would have probably thought that Thailand’s exotic culture, friendly and hospitable people, delicious food, pristine beaches, verdant forests and mountains, peaceful hamlets and not to forget the exciting & colorful nightlife in its urban areas make it a perfect venue for one’s wedding day. But to the person who has never been to Thailand, there must be a lot of questions in his/her head as to why a far flung country in South East Asia is drawing couples around the world to go there and tie the knot. Foreigners who wish to marry in Thailand are offered endless and more-than-the-usual possibilities which traditional wedding destinations cannot offer. 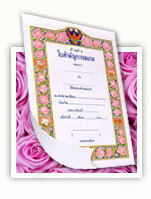 In other words, Thailand affords you a choice to make your wedding celebration truly a memorable one. It is our task to simplify the details for you if only to ensure that you’ll end up with the perfect choice. Do you fancy a colorful Traditional Thai wedding, a solemn Christian wedding, a mix of the two which can be done simultaneously, a ceremonious Chinese wedding or a fabulous Muslim wedding? Whatever is your choice, you better read about the types of wedding in Thailand for your guidance. Where do you want to tie the knot? Do you want to stay at the center and do it in a cozy hotel, up north and northeast and have it done at the top of the mountain or in a small village with friendly locals, down south amid white sand and crystal clear water or better yet underwater with the corals and fishes. Decide where you go and we’ll bring you there. 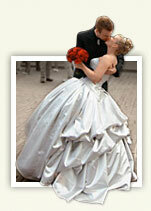 It surely helps a lot if you enlist a competent wedding planner who will take care of everything for your wedding. 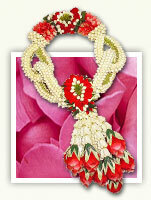 It will save you a lot from the accompanying worries of the wedding preparation i.e. where to hold the wedding, reception, wedding cake, etc.